If you had thirty seconds or less to convince someone to read Born at Midnight, what would you tell them? Are you a Derek or a Lucas fan? Have you convinced your friends that they have to read my Shadow Falls series? If so, what did you tell them? I want to know. And here’s your chance to share with the world what you love about the Shadow Falls series and become my star. I’m running a photo/video contest. That’s right. Send in your video clip of no more than thirty seconds, or send in a fun photo of you with my book , something that expresses how much you enjoyed it, and one “short” sentence caption for the image, and you could be chosen to be included in my Shadow Falls infomercial. Remember guys, only G-rated content is accepted. My plan is to get several videos and photos, pull bits and pieces from them, and make a Shadow Falls video. The video will be posted on my website and will be used in PR wherever book videos are used to promote my series. In the special content section of my website, I have a release form. Before I can consider your video or photo for the contest, you have to mail me the release form, signed by you, and your parents, if you are under eighteen. Then make a fun video of no longer than 30 seconds in length, or take a cool picture and write a caption for it and send it to me at cc@cchunterbooks.com. The deadline to get your entries in is September 1st. And yes, there will be prizes. Everyone who submits a video or a picture will get their name entered into a drawing. Prizes to be given away: A $25 gift card from Amazon, a $10 gift card from Barnes & Noble, and signed copies of Born at Midnight. The first five people to send me photos and the first ten people to send me videos will also receive a signed copy of the Shadow Falls poster. So get those in soon. First, second and third place prizes will also be awarded to the videos/photos chosen for the video. First Place: A $100 gift card to either Amazon, Barnes & Noble, or Borders (Winner’s Choice) and an ARC (Advanced Reading Copy) of Awake a Dawn. Second Place: A $25 gift card to Amazon, Barnes & Noble or Borders (Winner’s Choice) and an ARC (Advanced Reading Copy) of Awake a Dawn. 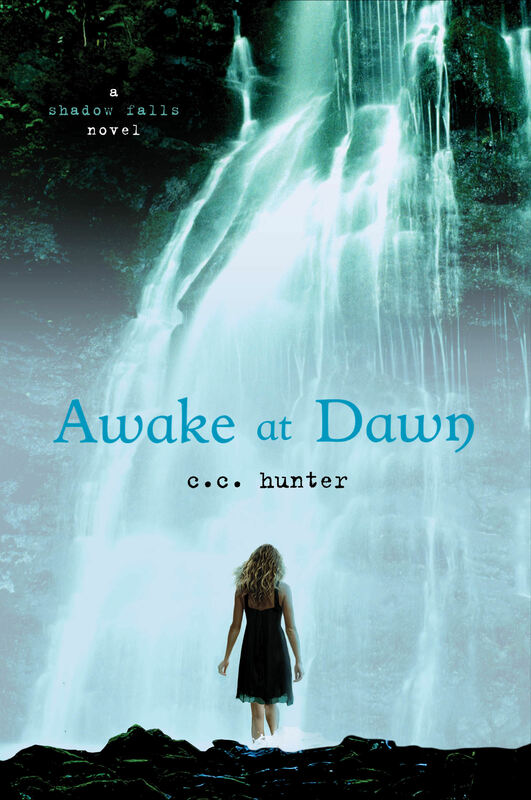 Third Place: A $15 gift card to Amazon, Barnes & Noble or Borders (Winner’s Choice) and an ARC (Advanced Reading Copy) of Awake a Dawn. So, get your creative hats on and send me a video or photo with a caption. Images and videos will be judged on clarity and creativity. Please note, only one prize given to each video/photo. No videos or photos accepted without a signed release form. 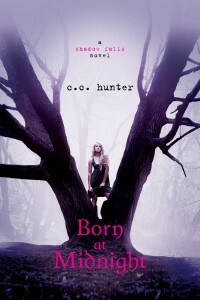 Look what I got: My first foreign copy of Born at Midnight. It published in Danish, so I can’t read a word of it, but I still love it. They also redid the cover a bit. Obviously, Kylie decided to wear a little black dress with a shorter skirt and she got her bangs cut. LOL. It’s always fun to see the new covers given by different publishers in different countries. And speaking o f different countries . . . Okay, it’s not a different country, but it feels like one compared to Houston, Texas. I’m talking about New York. Next week, I’ll be heading to the Big Apple for my annual Romance Writers of America National conference. I’ll be signing at the 2011 “Readers for Life” Literacy Autographing, which will take place on Tuesday, June 28, from 5:30–7:30 p.m. in the Broadway Ballroom at the New York Marriott Marquis in Times Square. So, all my New York readers, please come out to see me! This event is open to the public; there is no admission fee. Proceeds from book sales go to ProLiteracy Worldwide and their local NYC partner, ACE New York. And this month’s winner of my “join my newsletter contest” is Rochelle Muller. Rochelle, send me your snail mail address to cc@cchunterbooks.com and I’ll mail out your goodies. Thank you, guys, for stopping in. Oh…and make sure you come back next week. I’ll be announcing a new and exciting contest then. And I’ll be giving away ARCs and some neat prizes. So make sure you drop by next week. In my book Born At Midnight, Kylie Galen has a problem. Well, actually, she has a lot of problems. None of them are her fault, either. We writers do that to our characters sometimes . . . We overload them with issues. It’s not easy being a fictional character. On the other hand, it’s not easy coming up with all those issues for our characters to overcome, either. But let’s face it, issues and problems are what make books and characters special. If a character had a perfect life, she would be perfectly boring. Then you readers wouldn’t be happy. So I give my characters plenty of problems just to make you, the readers, happy. So Kylie can’t get mad at me, it’s you, the readers, she can blame for all the crap that happens to her. LOL. And for sure, Kylie’s got her share of issues. As the book opens, one problem sticks out more than others–she’s acquired a stalker. Not just any stalker, either. He’s a very odd man wearing army garb. He just stands there and stares at her, all spooky-like. She didn’t think things could get any crazier, but she’s wrong. When she finally points out this freaky stalker to her mom, Kylie’s life goes to hell in a hand basket. You see, her mom can’t see the stalker. Kylie is certain her mom has lost it. Ahh, but Kylie’s wrong again. Kylie doesn’t know it yet, but she’s seeing ghosts. When I first started plotting Born At Midnight, I knew I’d have vampires, shape-shifters, werewolves, witches, and faes, but I wasn’t about to let an opportunity go by without adding a few ghosts to the mix. Why ghosts? Basically, I’m a big fan of ghosts and ghost stories. I like the stories that make my skin turn ultra sensitive–stories that, when I’m reading them and hear a creaky floorboard or a whisper, I practically jump out of that ultra sensitive skin. You see, to me, ghosts are scarier than vampires and werewolves. My reasoning is simple. I believe in ghosts. Seen one actually, but I’ve yet to run across a vampire or bump elbows with a werewolf. Not that several of my vamps and weres in my series don’t scare the crap out of me. But on my personal fear scale, ghosts win out. Now about that ghost I saw. I was young and my mom and dad assured me I’d been dreaming, but I didn’t buy it then, and I’m not completely buying it now. I’d just turned ten, and I woke up one night to find my great grandmother hovering over me—again. At eighty plus years, she walked hunched over and therefore she always gave off the sense of hovering over you. Granted, she was the hovering type, and never minded telling you what she liked or didn’t like about how the world had come to be. But that night, the experience was different. You see, she’d been dead for about a week. And when I say hovering, I mean floating. She was wearing a long white gossamer gown that had lots of material that almost appeared to be several layers of wraithlike material, and it flowed around her so much it looked as if she didn’t have feet. She said she just wanted to let me know she was okay. And yeah, being young, I had been a bit worried about the whole death thing. Then she told me that someday I’d have to give up the rags I called clothes (she hated the new fashions we young girls wore) and I’d be wearing a gown just like hers. Yes, it scared me. Mainly because I really didn’t want to give up my clothes, and as pretty as her gown was, I didn’t think it was all that cool. Then there was the other fear. Granny was dead, so how could she be hovering over my bed? But in spite of the fear, seeing her also fascinated me. And ever since, I’ve longed to write a ghost story. Born at Midnight just seemed like my opportunity. So what about you guys? Do you believe in ghosts? Have you ever felt that eerie feeling that someone from the other side is close by? Oh…I just got some very special promo flashlight pens for Awake at Dawn, which is set to release October 11th. 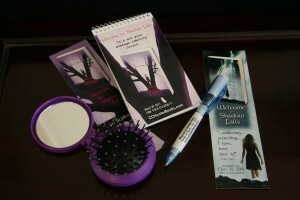 And this week I’m giving away one of those pens, a brush and mirror compact, and some bookmarks to one lucky person who is a member of my newsletter list. The form you need to fill out can be found at the “Contact” section on my website. Here’s the link – http://bit.ly/iyFjrX. So make sure you join. I’ll announce the winner on next week’s blog. Oh, and don’t forget about my contest to name a character in book four of my series. You still have time to enter if you haven’t done so yet. Just go here, and follow the instructions – http://bit.ly/l6SHcT. Contest! Contest! Today I’m giving away a $10 Barnes and Noble gift card and my new, Awake at Dawn, flashlight/pen, to one lucky person who leaves a comment. So make sure you leave a comment. The winner will be announced on top of this blogpost tomorrow. So don’t forget to come back and see if you won! “Hi, Kylie. Come on in and sit down,” I say when she appears at the door. “It’s my mind,” I tell her. “It’s eerie.” She shivers and looks at all the dark, shadowy nooks, places where I keep plot ideas, plots gone wrong, plots on hold, or pieces of scenes that I haven’t quite developed. “Yeah! Eerie stuff.” She moves in and hugs herself. Sitting down on the large tan, butter-soft leather sofa, she stares off in one corner. “Who’s that?” She nods to her right. “True,” I admit and decide to think about that later. “Why am I here?” she asks, still hugging herself. “Because Reggie the blogger wanted me to interview you.” I try to get comfortable and ignore the dead guy, who is now seriously beginning to freak me out as well as Kylie. “I don’t like being here too much,” she says. “You didn’t like the doctor?” I ask. I feel my heart drop as I look over in the corner. “He can’t be alive.” My breath catches as I watch the man I thought was dead stand up and glare at me. “Do I have to stay here?” she asks and looks around frowning, as if not liking my mind. I look back over my shoulder. “Yeah, I know. And I’m sorry about that but it’s staying in the book. It’s what writers do. We create scenes that force our characters to deal with things they’d rather not deal with. It’s called conflict.” Then I rush out to catch up with my dead guy who isn’t dead. Hmm, I might be able to use this…could someone come back alive? However, I guess I’d better end this interview now.